The Northeast is bracing for a second nor’easter just days after a deadly storm tore through the East Coast. Thirteen states from Virginia to Maine are under winter storm alerts for the upcoming nor’easter set to hit Wednesday. Sixty million Americans are in the storm zone. As the next nor’easter moves in, rain is expected during the Wednesday morning commute from Virginia, to Washington, D.C., to the New Jersey shore. Coastal flooding is possible. By Wednesday morning snow will start in central Pennsylvania, Philadelphia, northern New Jersey and New York City. Tracking the nor’easter, Wednesday at 7am. On Wednesday evening, it’ll be snowing heavily across the interior Northeast, causing a treacherous commute home. 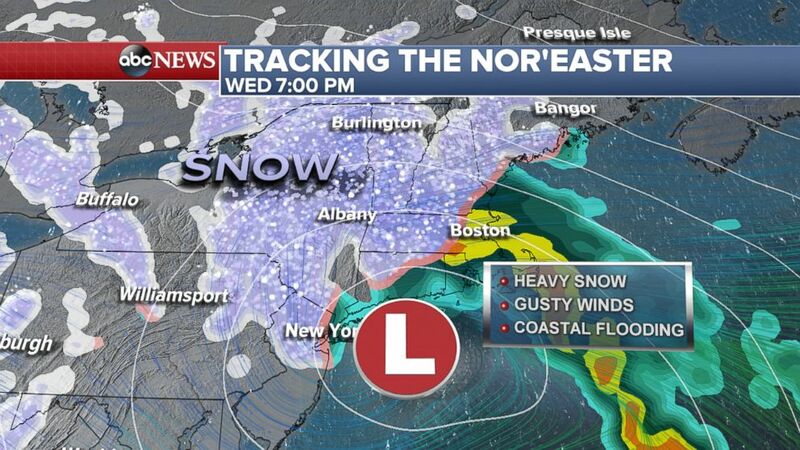 Tracking the nor’easter, Wednesday at 7pm. Depending on the track of the storm, New York City may have continuous, heavy snow, or rain mixing in throughout the day. Boston will see more rain than snow. The city is under a flood watch and wind advisory. By Thursday morning, the nor’easter will be moving north, with lingering snow showers across northern New England and heavy snow in Maine. 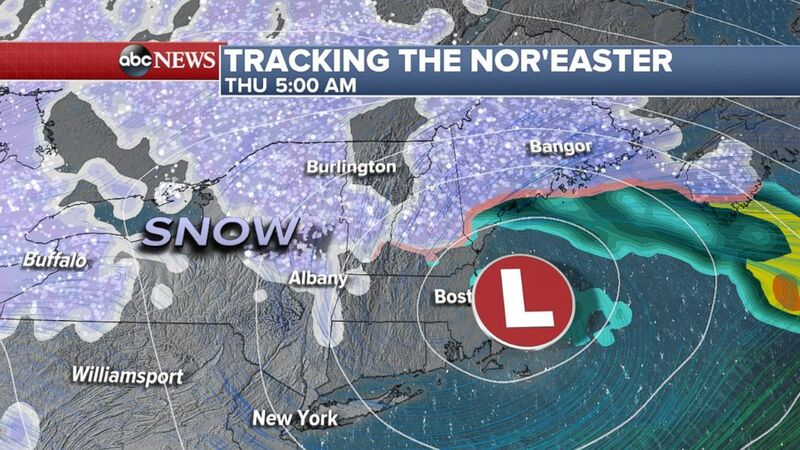 Tracking the nor’easter, Thursday at 5am. Gusty winds will remain across much of the Northeast until midday Thursday. Lighthouse Rd. 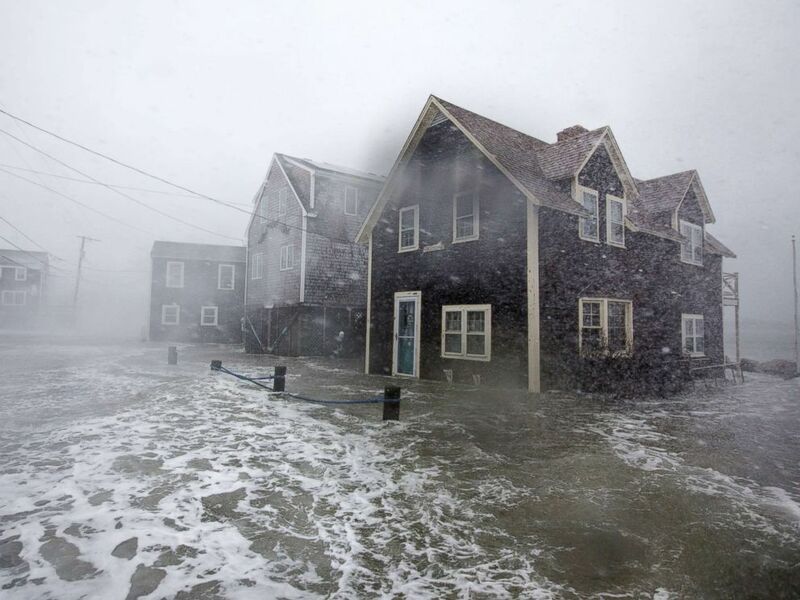 begins to flood during a large coastal storm March 2, 2018 in Scituate, Mass. The Philadelphia to New York City area is set to get 4 to 8 inches of snow; the areas north and west of the cities may see 8 to 12 inches. 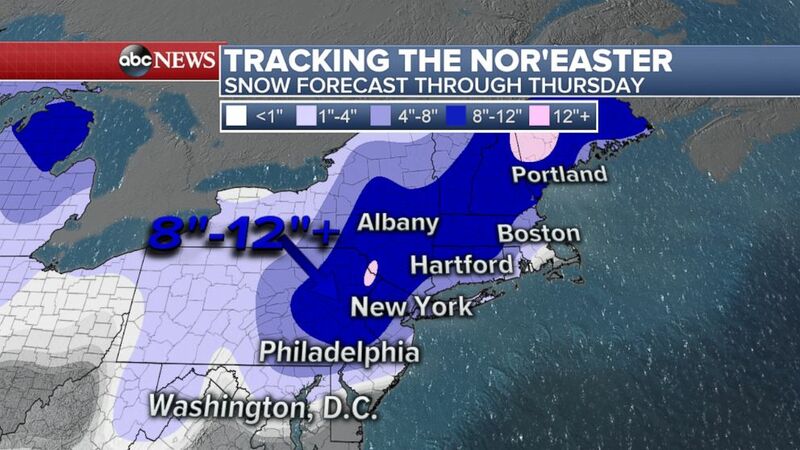 Hartford is forecast to get 6 to 12 inches of snow while Boston will likely see 2 to 5 inches. In Philadelphia, schools will be closed Wednesday. Amtrak said its Northeast Regional and Acela Express services will run on a modified schedule on the Northeast Corridor Wednesday. Over 800 flights have already been canceled for Wednesday and Thursday combined, according to the FlightAware. In New York City, the Emergency Management Department issued a hazardous travel advisory for Wednesday. 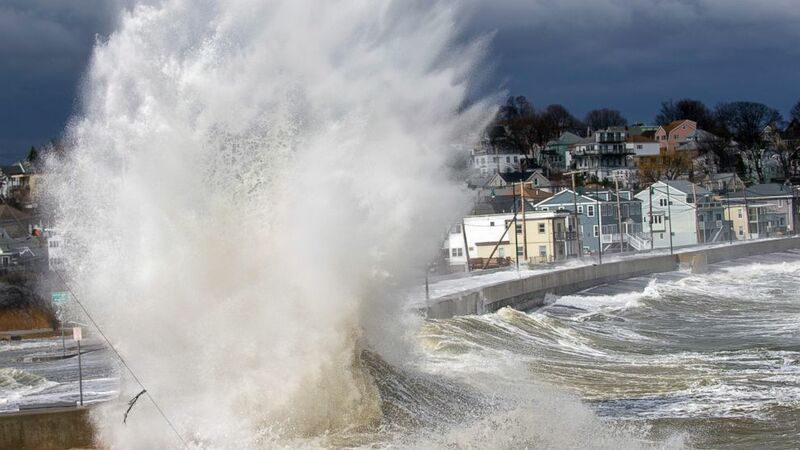 This new storm will arrive just days after Friday’s powerful nor’easter ripped through the Northeast with strong winds and heavy rain. 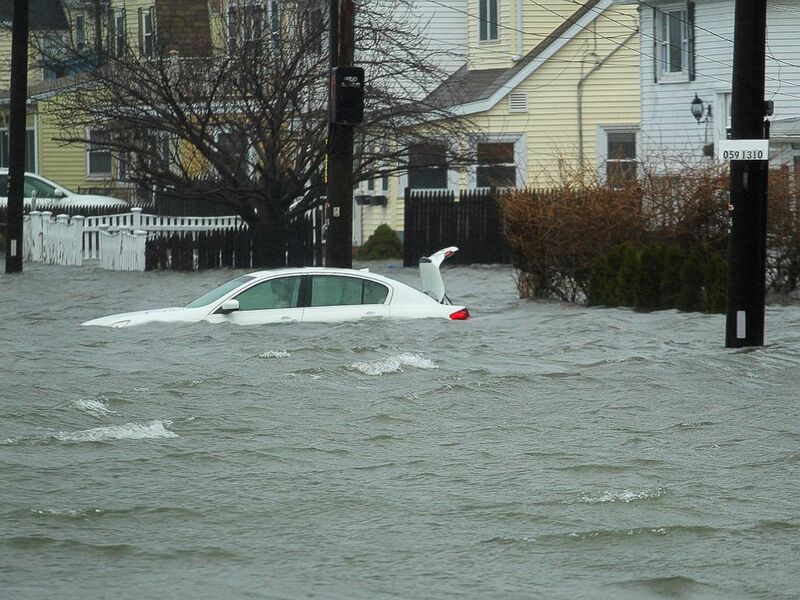 A car along Sea Street, is under several feet of water during the storm, Friday, March 2, 2018 in Quincy, Mass. 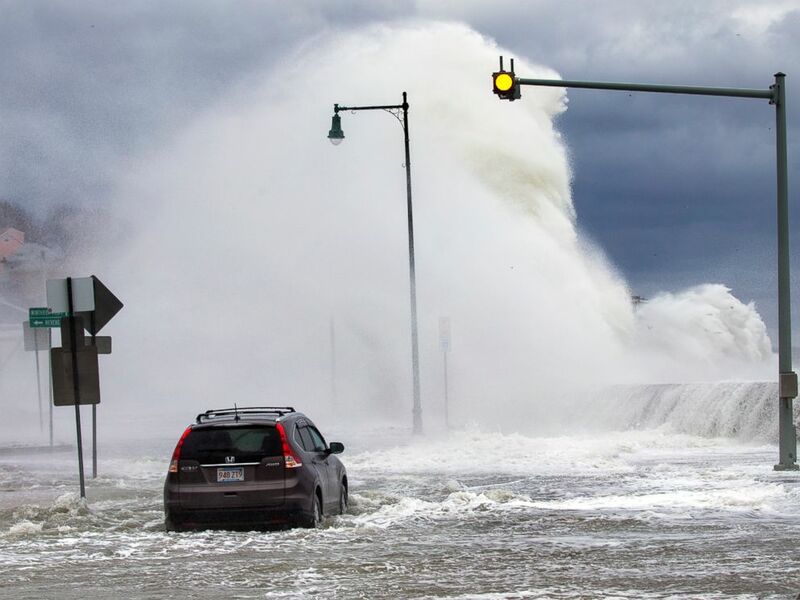 A car sits stuck in the water as the high tide pushes up and over the seawall at Short Beach, on the Revere/Winthrop line, March 3, 2018, in Winthrop, Mass. 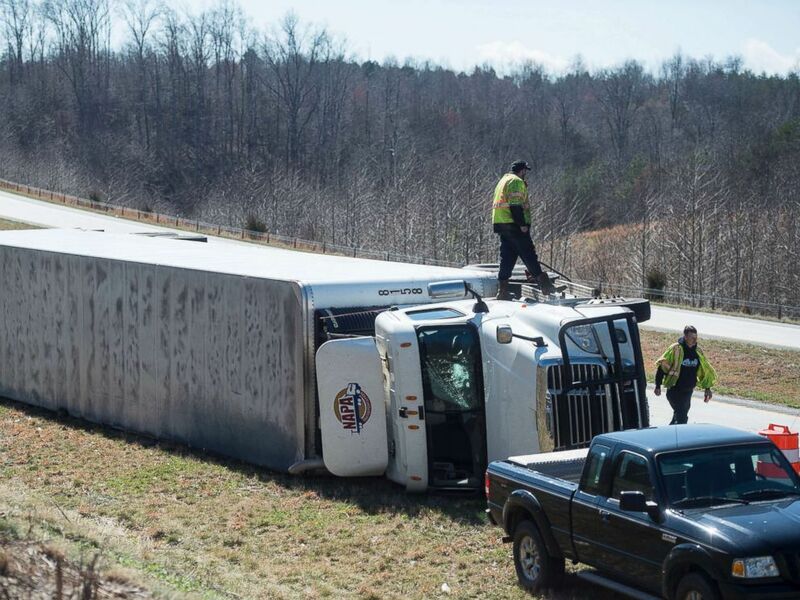 Fuel is siphoned from an overturned tractor-trailer on northbound 29 in Amhesrt, Va., March 2, 2018. Virginia’s coast is bracing for possible flooding in the wake of the nor’easter that slammed into the East Coast. At least nine people died from Friday’s storm. The storm knocked out power to about 2 million customers. Over 180,000 were still without power as of this afternoon. 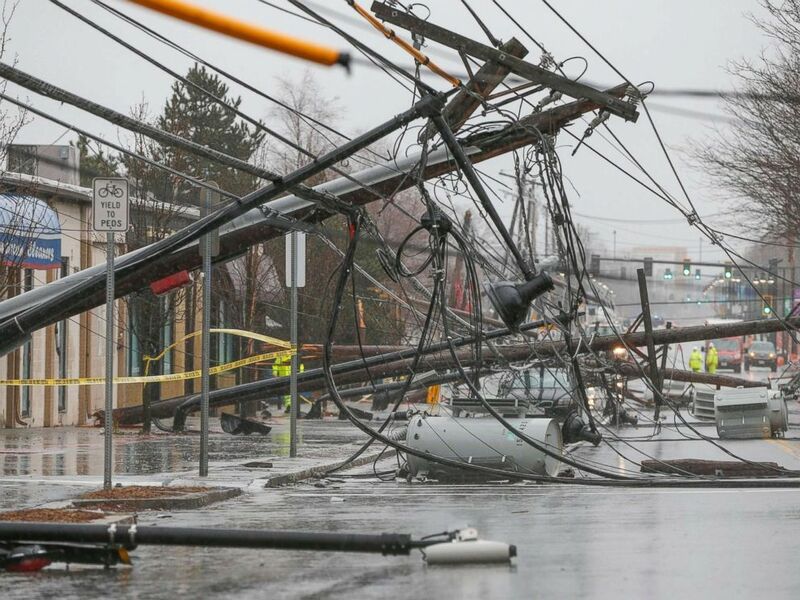 Wind knocks down power poles onto Arsenal Street in Watertown, Mass., March 2, 2018. In New Rochelle, New York, homeowner Com Crocker has no power, downed power lines in his yard and a massive fallen tree on the front of his car. “It’s been a rough several days for my family and me,” Crocker told ABC News today. While his family stays at a hotel, a generator is keeping a pump going in his basement where there was flooding. Crocker said he is “pretty concerned” about Wednesday’s storm. But he is grateful that the massive fallen tree on his car did miss his house. “We were lucky,” he said. ABC News’ Linsey Davis, Katie DenDaas, Amanda Maile, Daniel Steinberger and Jason Volack contributed to this report.